Leider sind deutsche Gebrauchsanleitungen für unsere Falträder noch nicht verfügbar. Im folgenden findest Du unsere Anleitungen in englischer Sprache. As with all mechanical components, the bicycle is subjected to wear and high stresses. Different materials and components may react to wear or fatigue in different ways. If the design life of a component has been exceeded, it may suddenly fail possibly causing injuries to the rider. Any form of crack, scratches or change of colouring in highly stressed areas indicate that the life of the component has been reached and it should be replaced. Do not ride in an abusive manner. In this manual, the CAUTION sign shows a hazardous situation which, if not avoided, could cause minor or moderate injury. In this manual, the WARNING sign shows a hazardous situation which, if not avoided, could cause death or bad injury. Great care should be taken when locking the quick release levers on the bicycle. If you do not fully understand how to operate the quick release levers, ask a bicycle dealer for assistance, or call Montague’s Customer Support Team at +1 617-491-7200. DO NOT RIDE YOUR BICYCLE WITHOUT ALL QUICK RELEASES SECURELY LOCKED. This manual is designed to give you the information you need for the safe operation and maintenance of your new bicycle. Please read it thoroughly before riding your bicycle. Make sure to read this complete manual before riding your bike. Failure to do so, or failure to follow its guidelines could lead to serious injury or death. Section One of this manual involves safety and bicycle care. Understanding and following this information will help you and your Montague bicycle avoid injury or damage. Section Two of this manual covers specific operating instructions for your Montague bicycle. Even if you’re an experienced rider, you should review this section before your first ride. Section Three of this manual gives basic instructions for making small adjustments to your bicycle and performing regular maintenance. Your bicycle’s serial number is stamped on the underside of the bottom bracket shell (Fig. 1). Record the serial number in this manual below in the event that your bicycle is lost or stolen. You may also want to register your serial number with your local police department. Fig. 1: The serial number is located on the underside of your bike on the bottom bracket. The frequently updated website also gives you a link to new instructions. If you make a decision not to complete the registration, make sure you visit the website frequently. Since the components on your Montague are industry standard, repairs or replacements can be performed at virtually any retail bicycle dealer. If you have any questions about your Montague after reading this manual, or encounter any problems when folding or unfolding your bike, please visit the support section of our website at www.montague-bikes.de/folding-bike-support or call Montague’s Customer Support Team at 617-491-7200. A knowledgeable representative will be happy to answer any questions and help you to fully enjoy your new Montague. Before riding your Montague, carefully follow all assembly instructions. Ensure your bike is the correct size for your comfort and safety. When standing over the frame (straddle frame) you should have a minimum of 1.0″ clearance between the boom tube and your body (Fig. 3). Note: Montague does not make bicycles intended for children. Please make sure all riders are adults. Bicycle riding can be a hazardous activity even under the best of circumstances. Proper maintenance of your bicycle is your responsibility as it helps reduce the risk of injury. All quick releases must be securely fastened before riding any Montague bicycle. The quick releases are pictured the Parts of Your Bicycle diagram (Fig. 2). They are: the front wheel quick release (#25), the seat post quick release (#8), the frame quick release (#9), the rear wheel quick release (#32, not on all models), and the Octagon stem quick release (Fig. 47 on select models). Caliper brakes also have a small brake release (Fig. 33) For instructions on operating the quick release levers read Assembling Your Montague Bicycle and Unfolding Your Montague Bicycle. Double check to ensure all bolts and screws are tightened to the correct torque specifications. Make sure that anyone to whom you loan your Montague understands how to work the quick release levers and how to fold and unfold your Montague bike properly. The owner is responsible for required normal maintenance services, such as those listed in the „Maintenance Schedule“ section in order to keep the bicycle in good operating condition. Damage or injury resulting from negligence, improper operation, improper or unauthorized repair or maintenance, environmental influences, or improper use are not warranted by Montague Corporation. Montague Corporation excludes incidental and consequential damages. There are many types of bicycles. Each bicycle type is made for a specified use or use condition. If your use of a bicycle applies more stress than its condition limit specifies, this could cause a failure of the bicycle (or a part of the bicycle). This section shows the use condition for different types of bicycles. If you are not sure of what condition(s) apply to your bike, consult your Montague dealer or call Montague for more information. These bicycles are made to ride on a paved surface where the tires are always on the ground. Condition 1 bicycles typically feature flat or drop style handlebars and 700c wheels and smooth tires. These bicycles may have accessories such as a rack, fenders, or kickstand attached. Condition 2 bicycles are made to cover all the riding conditions expressed by condition 1 with the addition of gravel roads and groomed off-pavement trails. Condition 2 bicycles typically feature flat handlebars and 700c or 26” wheels. These bicycles have “semi slick” tires with light knobs on them and direct pull brakes. Condition 3 bicycles are made to cover all the riding conditions expressed by conditions 1 and 2 with the addition of rough trails, small obstacles, smooth technical areas, and areas where tires are momentarily not on the ground; NOT FOR JUMPS. These bicycles are typically referred to as Mountain Bicycles or Cross Country Mountain Bicycles. Condition 3 bicycles typically feature flat handlebars and 26” or 27.5” wheels. These bicycles have wider tires with large knobs on them and direct pull or disc brakes. If your use of a bicycle applies more stress than the specified use condition of the bicycle, the bicycle or its parts can be broken or damaged. Riding a bicycle that is damaged could decrease your control and cause you to fall. Do not ride in use conditions that apply more stress than the limits of the bicycle. If you are not sure of the limits of the bicycle, consult your dealer. You should ask your dealer or Montague to help find a bicycle that has the correct dimensions for your body. You should be at least 1” of clearance above the boom tube (2-3” clearance for mountain bikes)when you stand over the bicycle (Fig. 3). You can adjust the saddle and handlebar (on select models) to offer the best comfort and performance. Before you make these adjustments, refer to the Proper Maintenance and Adjustments section. Montague bicycles are designed for a maximum total weight of rider plus luggage of 250lbs or a maximum total weight of rider plus luggage plus bicycle of 280lbs. The elements of your bicycle, if not used correctly, can decrease your control of the bicycle. Before you ride fast or outside a controlled environment, learn the operation and performance of all the mechanisms of your bicycle. Practice using the various features of your bicycle at slower speeds in a flat, open area before taking the bike on public roads. If your bicycle does not operate as necessary, or if different parts are necessary for the safe operation of your bicycle, speak to your dealer or call Montague Corporation +1 617-491-7200. Press each hand lever to ensure the brakes are moving freely and stop the bike. Braking performance changes with riding conditions. Practice braking at low speeds before taking your bike out into high traffic areas or trails. If your brakes are not working properly, DO NOT ride your bicycle. Take the bike to your local dealer for service. Check that all quick releases (front wheel, frame, seatpost, and on some models rear wheel, caliper brake and Octagon) are fastened. Nothing should rattle or be loose. Review Riding Safely on and Riding Instructions before attempting to ride your Montague bicycle. Check the steering as shown in Fig. 7. Some frame sizes, especially smaller sizes, use a short-wheelbase design with the front wheel close to the pedals. Increasing the distance between the front wheel and the pedals could place the handlebar too far away or make the steering unwieldy. On bicycles where this distance is short, when the handlebar is turned during very slow speeds your foot or toe-clip could overlap or touch the front wheel or fender (Fig. 4). This overlap is affected by the size of your feet, the length of the crankarms, and the pedals you choose. At usual speeds, the handlebar does not turn suffiently for overlap to occur. When you ride slowly, do not pedal when the handelbar is turned. If your foot or toe-clip touches the front wheel or fender, this could decrease your control and cause a fall. Do not pedal when you turn at slow speed. Some parts of your bicycle can injure you if mishandled. Sharp areas include chainring teeth, pedals, and brake discs. Brakes and their parts get hot. Moving parts can cut skin and even break boes. Clamps and pivoting parts such as brake levers can pikch, as can the chain where it runs over sprocket teeth. Frame problems are uncommon, but an early warning sign can be the presence of a shake or shimmy while riding at some speeds. If you experience this, or any other problem, decrease speed immediately and do not ride the bicycle. If your bicycle behaves in an unusual manner or makes excessive noise, take the bicycle to your dealer for service. A frame or fork problem can decrease control and cause a fall. If your bicycle gets a shimmy or any other issue, decrease speed immediately and take it to your dealer for service. Bikes and the components that comprise them are not indestructible. Depending on the riding forces, conditions, and mileage endured, you should replace your bike or its parts at an appropriate frequency. The safe life of a part is determined by its construction, materials, and wide range of operating conditions, so it is not possible to provide a precise schedule for replacement. Any cracks, scratches, or significant color changes indicate that a component’s life has been reached and should be replaced. Consult your dealer if you have any areas of concern. Good maintenance practices and frequent inspections will ensure that you get the most out of your investment. Bikes are subjected to wear and high stresses. Different components react to these stresses differently. If the design life of a component is exceeded, it may suddenly fail and cause injury to the rider. This is not a comprehensive maintenance program. Montague recommends that you have your bicycle tuned and safety checked by a bicycle technician on a regular basis but no less than annually. If you notice any irregularities in your bike and/or its performance take it to a bicycle dealer before attempting to ride. Overuse of any brake system may cause loss of control resulting in personal injury. Ensure that your bicycle is in proper working condition each and every time you ride. If a part of the bicycle does not function correctly, consult this manual and bring the bicycle to your local dealer for repair. A bicycle that does not work properly can cause you to lose control and fall. Do not ride a bicycle with a part that is damaged; replace the part before riding. Some models have carbon fiber components. Pound for pound, carbon fiber is stronger than steel or aluminum. But it behaves differently when it is overloaded in an accident or impact. An overloaded metal part will bend or deform before it breaks, showing evidence of the load (Fig. 5). An overloaded carbon fiber part will not bend or deform, so a damaged carbon part (with reduced strength due to the damage) may look normal – even after the same load that bent the metal part. But when the sum of the forces finally exceeds the strength limit of the carbon fiber, the carbon fiber part breaks, it does not bend (Fig. 5). Fig. 5. Overloaded forks: • The metal fork on the left bent when overloaded • The carbon fiber fork on the right failed at a much higher load, but separated. In an accident or impact that does not break the carbon fiber, the carbon fiber could have internal or hidden damage but appear normal. If that occurs, please carefully read these instructions and examine the carbon fiber. These tests are not conclusive: If you are not sure a part is safe, replace it. A carbon fiber part that has damage can break suddenly, causing serious injury or death. Carbon fiber can conceal damage from an impact or crash. If you suspect your bicycle has had an impact or crash, immediately stop riding the bicycle. Replace the part before riding, or take to your dealer for service. 1. Clean the part fully with a moist cloth. 2. Look carefully for problems. These include scratches, gouges, cracks, discoloration, loose fibers, or other surface imperfections. Do not ride, but use the part in the usual manner while someone carefully examines the part for movement or unusual noise. 2. With a coin, tap near the possible damage. 3. Listen carefully for variations in sound. Tap on the part where it is in good condition (or use a part that is almost the same). Compare the sound. Anything unusual, especially a hollow sound, indicates a problem. If your bicycle receives a high force load or impact, fully examine all the parts of your bicycle. High force loads include crashes and strong impacts that do not cause you to crash. If you are unsure whether or not you should replace a part, speak to your local dealer. Check the attachment of both wheels. 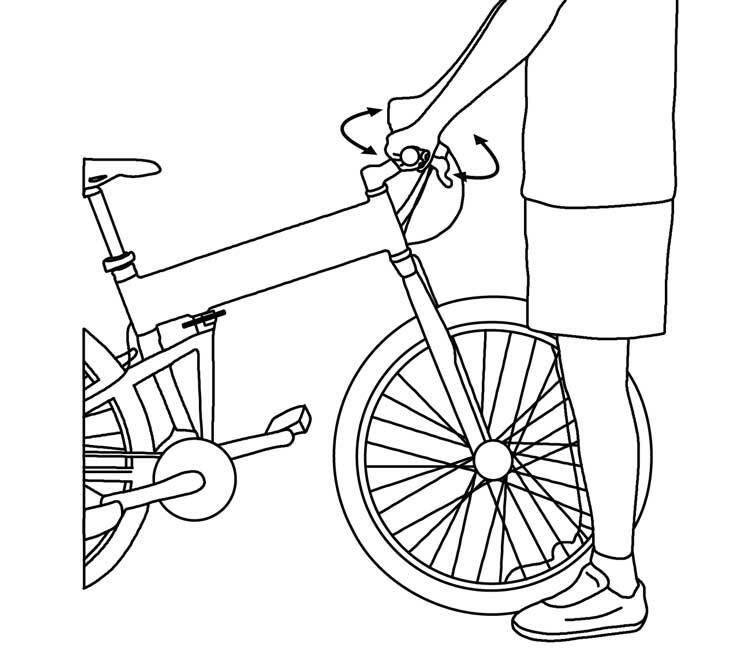 With the quick release lever in the “close” position, pick the front wheel off the ground and apply force to the wheel in a downward motion (Fig.30 page 29). The wheel should remain securely in place. Grab your wheel and try to move it from side to side. Check the rims for cracks, discoloration, and trueness. If there is any movement or irregularity in the wheel do not ride your bike. Take it to your local dealer for service. When the quick release lever is properly adjusted and in closed position you should not be able to rotate the lever in a circular motion (parallel to wheel). This is different from the “flipping” motion, used to open and close the quick release lever (Fig. 57 page 44). Repeat the same steps to check the rear wheel. A wheel quick release that is not properly adjusted or closed can cause the wheel to loosen or come off, suddenly stop its rotation, or decrease your control, causing you to fall. Make sure the wheels are correctly attached before riding your bicycle. Note that different systems attach bicycle wheels to the frame: threaded axle nuts, and multiple styles of a lever actuated quick-release system. Make sure the wheels are straight. Turn each wheel and look at the rim when it goes through the brake pads or the frame. If the rim wobbles up and down or from side to side, repair the wheel. Excess air pressure can cause the tire to explode off the rim, causing hearing loss or, if riding, a loss of control. Use a hand pump with a reliable pressure gauge and do not overinflate. Inflate the tires to the air pressure recommended on the sidewall of the tire. Improper tire pressure will cause excessive wear, causing premature replacement. Pressurized, unregulated pumps should not be used for this task. The tire should be properly seated in the rim and the fitting of the tire bead and rim bead should be checked. If the tube is pinched between the tire and the rim, it can explode when inflated. Ensure that the tire is not cracked or unevenly worn. Check for bulges. Check that the valve is straight in the rim. Irregular tires should be replaced immediately. A brake system that has damage or is not adjusted properly could decrease your control and cause you to fall. Inspect brakes fully before each ride, and do not ride if brakes are not operating correctly. Make adjustments as needed or take to your local dealer for service. Fig. 6: Pad alignment. A: Brake pad lined up with rim surface. B: Brake pad and rim should be parallel. C: Rim direction. D: Toe-in of .5-1.0mm. lever causes the brake to apply pressure to a disc attached to the hub. Disc brakes and discs get very hot during use and could burn skin. Also, the disc edges can be sharp and could cut skin. Do not touch the disc or disc brake when it turns or when hot. Pull the brake lever to make sure the brake moves freely and stops the bicycle. If the brake lever can be pulled to the handlebar, the brake is too loose. When brakes are not applied, the brake pads should be .25-.75mm away from the disc. If the pads are too near to the disc, the brake is not in line or it is too tight and the brake should be adjusted. Never ride a bike with an improperly adjusted handlebar or stem as this can cause you to lose control of the bike, leading to serious injury or death. Also, handlebar ends that are not plugged or covered can cut in a crash. Make sure the stem is in line with the front wheel and correctly attached to the fork and handlebar. To examine the connection to the fork, try to turn the handlebar from side to side while you hold the front wheel between your knees (Fig. 7). Fig. 7: Try to turn the handlebars while holding the front wheel between your knees. To examine the connection of the handlebar, try to twist it in the stem. The handlebar should not move or be loose. Make sure that no cables are pulled or caught on the bicycle when you turn the handlebar. If the handlebar or stem is loose to turn, bring the bike to a local dealer for inspection. Make sure the saddle is correctly attached and the minimum insertion line on the seatpost is not showing. Try to turn the saddle and seatpost in the frame, and try to move the front of the saddle up and down. The saddle should not move or be loose. If the saddle is loose try adjusting it using the instructions on pages 21 & 38. On select models, adjust your suspension for your use, and make sure that no suspension component can “bottom-out”, or be fully compressed while riding. Check that all quick releases (front wheel, frame, seatpost, and on some models rear wheel,caliper brake, Octagon® stem, and RackStand latch) are fastened. Nothing should rattle or be loose. Make sure lights operate correctly and that batteries are charged. Make sure all reflectors are clean and in their correct position. Without correct lights and reflectors, it will not be easy for you to see or for other people to see you. If you cannot see, or other people cannot see you, you could have an accident. Use a front light, a rear light, and reflectors when you ride in low visibility conditions. Check to make sure nothing seems loose or rattles. Check that both pedals are properly threaded into the crank arms. The first rule in safe bicycle riding is to use common sense. A bicycle is vulnerable; it cannot protect you in a crash, impact, or loss of control the way a car can. A bicycle can tip over sideways or pitch you over the front wheel. It does not have bumpers or airbags as a car does. This section is a guide of safe riding practices for on- and off-road operation. Make sure you are using your bicycle for proper use condition (page 6) as it relates to off-road riding. Different localities and countries have different laws governing bicycle riding on public roads, and you should check with local officials to make sure you are complying with these laws. 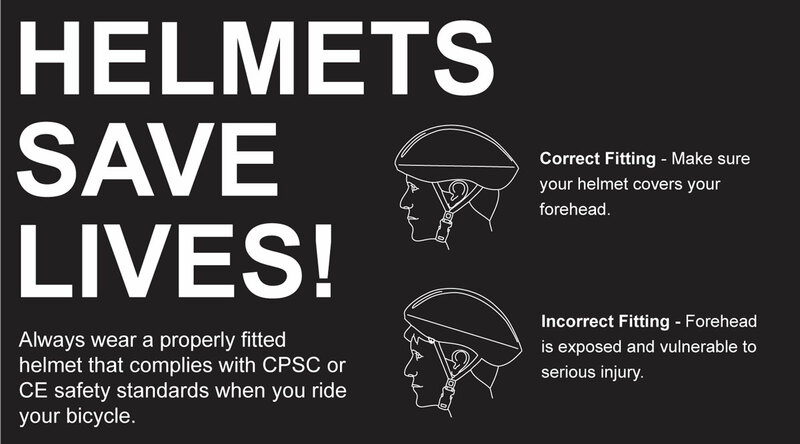 • For your safety, always wear a helmet that meets CPSE or CE safety standards. In the event of an accident a helmet can protect you from serious injury and even death. A bicycle dealer will be happy to assist you in the selection of a helmet and other useful accessories. • Obey all local traffic laws. Obey red and green lights, one-way streets, stop signs, etc. • Ride with the traffic, not against it. Ride single file in a straight line. • Have a satisfactory signaling device (bell, horn, etc. ), to warn of approach. Ride Defensively (expect the unexpected). • Give pedestrians the right of way. Do not ride too close to pedestrians and alert them if you intend to pass from behind. • Slow down at all street intersections and look to the left and right before crossing. Proper use of your front brake is vital to ensure safe, efficient stopping. To avoid misuse and potential injury, do not apply sudden or excessive force to your front brake. Doing so may cause your rear wheel to lift off the ground and/or your front wheel to slip from under you. Apply both brakes at the same time and shift your weight backward on the bicycle while braking. Always use proper hand signals for turning and stopping. Give signals 100 ft. before stopping or turning and always return both hands to the handlebars before stopping or turning. • Watch for cars pulling out into traffic and for the sudden opening of car doors. • Avoid potholes, drainage grates or other road surface hazards. Cross railroad tracks at a right angle. Be careful when riding on soft road edges, gravel, sand and uneven surfaces. Ride slowly and avoid quick turns when riding on these surfaces. • Never hitch on to other vehicles, do not “stunt” ride or race in traffic. Do not weave in and out of the traffic or swerve from side to side. • We do not recommend fitting a child-seat to any Montague bicycle. However, if one is fitted, care should be taken to fit suitable coverings to prevent trapping of children’s fingers. A crash can put extraordinary stress on bicycle components, causing them to fatigue prematurely. Components suffering from stress fatigue can fail suddenly, causing loss of control, or serious injury. For more information and a guide for safe on-road and off-road riding, see www.montague-bikes.de/support. Brakes do not work as well under wet conditions as they do when dry. In wet weather, special precautions must be taken to ensure safety in stopping. Proper adjustment and cable lubrication will help, but the major precaution rests with you, the rider. Increased brake pressure is needed in wet or rainy weather and care must be taken to maintain safety in these conditions. Wet or inclement weather can make a bicycle difficult to control. Decrease your speed and use extra caution, or use other types of transportation. Ride slower than normal and apply your brakes sooner than regular conditions would require. When wet surfaces freeze, traction is further decreased. Brake power could decrease. Adjust your speed. Your bicycle has a full set of reflectors. Make sure the reflectors are clean and in the correct position. As useful as these reflectors are, they do not help your vision. They do not make you easy to see unless light is pointed at them. You should see and be seen. If you ride at dusk, at night, or in low-visibility conditions, speak to your dealer to find equipment or materials to help your vision and make you easier to see. When you ride in low-visibility conditions such as fog, dusk, or night, you might be difficult to see, which could lead to a collision. Your bicycle is equipped with reflectors. In addition to keeping your reflectors clean, and properly affixed to your bicycle, use a front light and rear light when you ride in conditions with low light or low visibility. Wear bright, reflective clothing when riding in poor lighting conditions. Consult your local bike shop to find accessories and clothing appropriate for your riding needs. • Check your bike before every ride, making sure that your brakes are operating effectively and everything is in perfect working condition. • Avoid riding in large groups, as this can force you to ride too close to other riders, making it difficult to see other vehicles and road hazards. When another rider is close, a sudden change in direction or speed can cause you to lose control. • Do not ride above your skill level. • Do not ride too fast – with increased speed comes increased risk. Higher speed causes small bumps to create large impact forces on your forks and frame, and results in higher forces and risk of injury if a crash occurs. • Do not ride with loose objects attached to the handlebar or other parts of the bicycle, for example with a pet or its leash. • Never carry other riders or packages, as they may obstruct vision or proper control of the bicycle. • Do not ride while intoxicated or while taking medications which can make you drowsy. • Ride carefully when off-road, staying on trails, and not riding over rocks, branches, or depressions. • When approachng a descent, decrease speed, move your weight to the rear, and use the rear brake more than the front. • Do not ride abusively, ride within the Use Conditions specified for your bicycle type. • Ride in an unusual mannerSuch examples add to the stress on each part of your bicycle. High stress can cause the frame or a part to break and increase your risk of injury. To decrease your risk of injury, use your bicycle correctly. Always ride with a safe distance between you and other vehicles or objects. Use your brakes. Adjust speed, braking distances, and braking force based on the conditions you ride in. Fig. 8. Do not over-use the front-wheel brake; the rear wheel can lift and cause you to lose control. Apply pressure to both brakes at the same time. Overuse or incorrect use of a front brake could cause the rear wheel to lift from the ground which can cause an accident (Fig. 8). Many models of modern brakes are very powerful; they are made to stop a bicycle in wet or muddy conditions. If you think your brakes are too powerful, transport your bicycle to your dealer for adjustment or replacement of the brake system. Note: In most countries around the world, including the U.S.A., the left brake lever operates the front brake, and the right brake lever operates the rear brake (note: bicycles manufactured for the United Kingdom and some other countries switch these and the left brake lever operates the rear brake and the right brake lever operates the front brake). The multi-gear system provides a means of maintaining a constant pedaling rate, regardless of road level conditions. The gears are activated by cables connecting the shift levers located on the handlebar to the derailleurs. If your bicycle is equipped with twist shifters, rotating the twist shifters towards you moves the chain from one chainring (or sprocket) to the next larger chainring (or sprocket). Rotating the twist shifters away from you moves the chain from one chainring (or sprocket) to the next smaller chainring (or sprocket). If your bicycle is equipped with shift levers, pushing the thumb shift lever away from you moves the chain from one chainring (or sprocket) to the next larger chainring. Pulling the index finger shift lever towards you moves the chain to the next smaller chainring (or sprocket). The left shifter controls the front derailleur and the right shifter lever controls the rear derailleur. To shift, continue pedaling at a steady pace while operating the shifters and engage the gear you find most comfortable. For easiest pedaling (while going uphill), position the chain over the smallest chainring in front and the largest sprocket in back. For hardest pedaling (while going downhill or quickly), position the chain over the largest chainring in front and the smallest sprocket in back. For models with an external derailleur, pedals and wheels must be turning forward while shifting gears. Never pedal backward while shifting gears and never force the twist shifters or shift levers. To change gears on models with internal gear hubs, move the pedals to the rear or do not move them. If you must change gears while you pedal, decrease your pressure on the pedals. Too much tension on the chain prevents the correct operation of the gear change mechanism and could damage the mechanism. If your bicycle is shifting incorrectly, please review Derailleur Adjustment on pages 40-42 or take the bike to your local dealer. The keys to safely and effectively descending a hill are speed control, weight distribution, and steering control. Your speed is controlled through experience and good braking, (covered earlier). Keep your weight correctly in balance between the wheels on a steep downhill by moving your weight rearward on the bicycle and as low as possible, just like when braking. Keep your feet on the pedals and keep the crankarms horizontal and parallel to the ground (unless you are cornering as you descend; see the next section). Keep your knees and elbows bent to allow your body to absorb some of the bumps and impacts during the descent. For extra stability, squeeze the seat between your thighs (some folks even like to squeeze the top tube with their legs). Avoid a “death grip” on your brakes, instead use them as outlined in the Using Your Brakes section. When cornering, do the majority of your braking before you make your turn. Hard braking during the turn can cause your wheels to skid, which could cause you to lose control. Make sure your speed is reasonable, then ease off the brakes when you’re about halfway through the turn. To avoid catching the inside pedal on the ground, make sure that your outside pedal is down and your weight is on the outside pedal. Lean your bicycle in the direction of the turn, but slightly angle your upper body in the opposite direction, keeping your body and head more upright. Always look well down the road to help you anticipate upcoming obstacles. This distance will vary according to your speed, but remember that the closer you get to an obstacle, the less time you have to react to it. Use caution when you encounter obstacles in the road, whether it’s a sewer grate, speed bump, gravel, or any other hazard. If you are going fast, even a small obstacle can create a significant impact to your bicycle. If you are unsure of your ability to safely ride over an object, it is best to either ride around it or dismount and walk around it. Your body and bicycle will have a natural tendency to go where you are looking. If you focus on an obstacle, you may go through it when you really wanted to avoid it. Focus on the part of the road where you want to go, not on the obstacles. Your new bicycle was assembled and tuned in the factory and then partially disassembled for shipping. You may have purchased the bicycle already fully assembled and ready to ride OR in the shipping carton in the partially disassembled form. If you have questions or concerns about any of these steps, please see a bicycle dealer or contact Montague’s Customer Support Team at +1 617-491-7200. Carefully follow the Final Assembly Instructions attached to your bike. Once you have completed the assembly, read the remainder of this Owner’s Manual. Carefully remove the bicycle and all accessories from the box to avoid scratching the frame. Check the carton for loose parts before discarding. Note: If you own a Montague bicycle purchased prior to 2016, your bicycle may be assembled differently. For more information please see the archived manuals at the bottom of this web page. Fig. 9: Opening and adjusting a quick release. Open the seatpost quick release lever (Figs. 9 & 10). 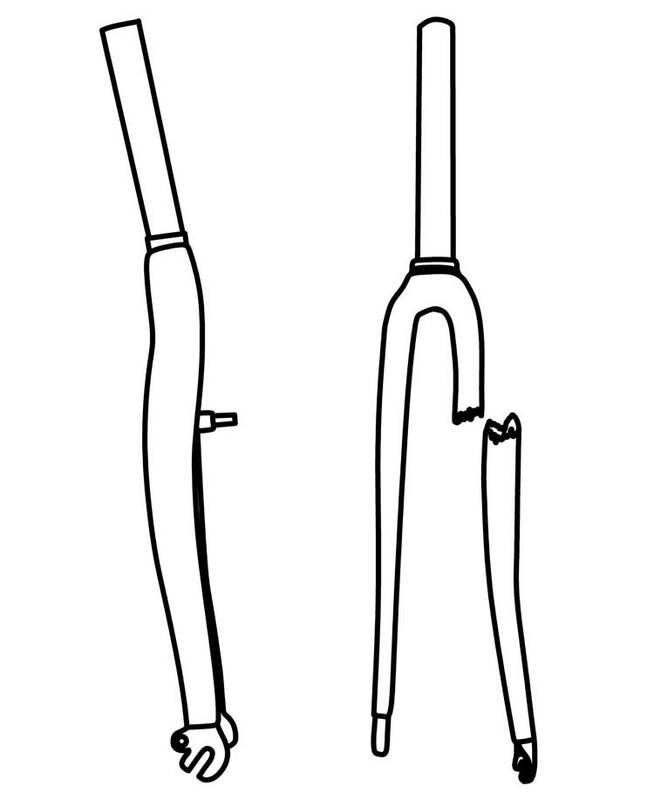 Insert the seatpost into the seat tube to a sufficient depth so that the minimum insertion line is no longer showing (Fig. 10). Fig. 10 Insert seatpost beyond minimum line. When you are satisfied with the height of the seatpost, close the seatpost quick release lever. The tightness of the lever is adjusted by rotating the adjustment nut opposite the quick release lever. Turn the nut by hand to adjust the tension while holding the lever stable (Fig. 9). The lever is securely tightened when it leaves an imprint on the palm of your hand from pushing it closed. Once the lever is securely closed, you should not be able to move it unless you open it again. If you can move the seat up and down or side to side with the quick release lever in the closed position, repeat the seatpost installation process from step 3. Repeat until the seat cannot be moved when the quick release lever is closed. If you have adjusted the nut too tightly and cannot push the lever to the „close“ position, open the quick release lever again and turn the adjusting nut 1/4 turn counterclockwise. Continue with Step 3. Adjust for comfort of the rider. The saddle is properly adjusted when you can sit on the saddle, and with your knee only slightly bent (approximately 15º), reach the pedal at its lowest point with the ball of your foot. You will find a single pedal in your small parts box. This pedal is stamped “R” for Right. The left pedal should be located on the bike and clearly market “L” for Left, on the ends of the axle shaft to differentiate between right and left. Do not try to insert the wrong pedal into the crank, as it will strip the crank threads. Always check that the pedals are securely tightened before riding. Align the right pedal axle into the threaded hole in the right crank arm and secure it in the crank by hand. The right hand side of the bicycle is the side of the bicycle with the chain. The right pedal is installed by turning the pedal axle clockwise. The left pedal is installed by turning its axle counterclockwise (Fig. 11). When hand-tight, use the 15mm pedal wrench (in small parts box) to tighten the pedals to 350-380 lb•in (40.2-42.9 N•m). Each pedal should be tight against the crank arm. Using the provided hex wrench, remove the two screws (or four, depending on model) holding the stem clamp in place (Fig. 12). Fig. 12: Remove the stem clamp. 2. Place and center handlebars within the stem (some have centerline marks), and replace screws (Fig. 13). Fig. 13: Replace and center handlebars. 3. Tighten with the provided hex wrench (Fig. 14) to proper torque (page 36). Make sure that the gap between the stem is roughly the same on the top and bottom (Fig. 15, a), and the handlebars are at a comfortable riding angle (Fig. 15, b). Fig. 15: Set at comfortable angle. To complete the assembly of your Montague bicycle, continue with the instructions provided in the next sections, Installing Front Fender, Operating RackStand, and Unfolding Your Montague Bicycle. Bikes that come with RackStand also include a matching front fender. This fender must be installed upon assembly. Remove the nut from the rear of the front fork (Fig. 16). Depending on the model, the mating screw may be part of the caliper brake assembly or a bare screw. Position the fender on the back side of the fork and reinstall the nut so that it passes through the slotted fender mount. Tighten (Fig. 16). Fig. 16: Pavement bike fender installation. Remove the screw from the rear of the front fork. Some forks allow the screw to thread directly into the fork crown (Fig. 17), while some pass through to a nut on the front of the fork (Fig. 18). Position the Fender on the back side of the fork and reinstall the bolt so that it passes through the slotted fender mount. Tighten it into the fork (Fig. 17), or the nut on the front of the fork if applicable (Fig. 18). Fig. 17: Fender installation on mountain bike with threaded fork mount. Fig. 18: Fender installation on mountain bike with non-threaded fork mount. Some bikes come with RackStand, a rear rack that, when rotated below the wheel, acts as a stand for the folded bike or a kickstand when unfolded. Switching between rack and stand is very easy. The RackStand is shipped in the stand position. To convert to a rack, lift the rear of the bike and rotate the RackStand up until it locks into the latch under the seat, making an audible “click” sound. (Figs 19.a & b). Fig. 19.a: Rotating RackStand up. Fig. 19.b: Correct (fully locked) and incorrect RackStand latch position. 1. Prior to removing the front wheel or folding the bike, lift up the latch under the seat to release the RackStand (Fig. 20). 2. The RackStand will rotate down until it hits the ground (Fig. 21). Fig. 20: Opening RackStand latch. Fig. 21: Rotating RackStand down. 3. Lift the rear of the bike to allow the RackStand to finish rotating under the rear wheel (Fig. 22). Fig. 22: RackStand in down position. 4. The bike can now be more easily folded in this position, or the RackStand can be used as a kickstand or work stand. Since your Montague relies on quick releases for folding, and adjustment, it is crucial that you fully understand how to operate the quick release levers. Failure to properly lock the quick release levels for the wheels, seatpost, frame or brakes can result in loss of control and may result in serious injury or death. Great care should be taken when locking the quick release levers on the bicycle. After reading this manual if you do not fully understand how to operate the quick release levers, ask a bicycle dealer for assistance, or call Montague’s Customer Support Team at +1 617-491-7200. Do not ride your bicycle without all quick releases securely locked. CLIX® Wheel Release System. See pages 28-30 (Attaching the Front Wheel). Not on models prior to 2007. The DirectConnect™ frame quick release. See Adjusting the Frame Quick Release, page 27. The seatpost quick release. See pages 21 & 38. The rear wheel quick release lever. See pages 44-45. Not on all models. The caliper brake release lever (Fig. 33, page 31). Not on all models. Octagon® quick release (Fig. 47, page 37). Not on all models. RackStand™ quick release (Fig. 20, page 25). Not on all models. Fig. 23: Parts of the DirectConnect™ frame quick release (shown in closed position above). Undo the Velcro strap holding the handlebar to the rear wheel. It should be rolled back onto itself around the handlebar while the bike is unfolded. Ensure the frame quick release is in the open position (Fig. 36 page 32). Place the rear wheel on the ground, grasp the rear wheel with one hand and the handlebar stem with the other and unfold the bike (Fig. 24). When the frame is almost completely unfolded, firmly pull the frame straight. The spring loaded Wedge will “click” into place over the Upper Clamp of the frame (Fig. 23). Make sure the Wedge is completely engaged. It should hold the Upper and Lower Clamps together, and the frame should no longer fold (Fig. 23). Fig. 24: Unfold the frame. Fig. 25: Close frame quick release. Fig. 26: QR should leave imprint on palm of hand. If the frame quick release becomes loose or does not leave an imprint on your palm when closing the lever, the quick release may need to be adjusted. To adjust the quick release. Make sure your bicycle is in the unfolded position with the frame quick release Wedge properly seated over the Upper Clamp (Fig. 23). Open the quick release lever so the lever is pointing toward the rear of the bike. Tighten the adjusting nut 1/2 turn. Close the lever. If there is too much resistance for you to be able to close the lever, open, and turn the adjusting nut counter-clockwise 1/4 turn and try to close again. The quick release is securely closed when it leaves an imprint on the palm of your hand from moving the lever into the closed position. Make sure the word “close” is visible and that the lever is pushed fully to the closed position. Great care should be taken when locking the quick release levers on the bicycle. If you do not fully understand how to operate the quick release levers, ask a bicycle dealer for assistance, or call Montague’s Customer Support Team at +1 617-491-7200. Some bike models come with a front fender. When unfolding it must be moved from the down position to the up position. Rotate the fender to the up position and push slide it in toward the fork to lock it in place (Fig. 27). Fig. 27: Rotate and lock the fender in place. Improper installation or improper use of the quick release system can allow the wheel to WOBBLE or DETACH from the bicycle causing you to crash. Read and follow these instructions to properly install and use this product to reduce your chance of SERIOUS INJURY or DEATH. Once the bicycle frame is in the unfolded position with the frame quick release locked, you will need to attach the front wheel. The front wheel on your bicycle is attached via the CLIX® Wheel Release System. For more information on CLIX® please visit www.clixqr.com. DO NOT change or swap wheels between different bicycles. Your CLIX quick release wheel may not engage another bicycle’s fork correctly, causing an accident. Your CLIX quick release wheel is not compatible with all forks. Lower your fork onto the wheel hub so that the fork dropouts are resting on the hub axle. (Fig. 28.b). NOTE: For forks with angled dropouts (Fig. 31.a): The dropouts are designed to slide past the cup and adjusting nut and click onto the hub axle. DO NOT spin the CLIX quick release level to secure the wheel. Spinning the lever in the open position (like a wing nut) will not fully secure the wheel to the bike, even if it appears to be tight. For forks without angled dropouts (Fig. 31.b): Squeeze the cup and CLIX quick release lever (Fig. 28.b) together like a syringe to allow the fork dropouts to rest on the hub axle. Close the CLIX quick release lever as shown in (Fig. 28.a). The mechanism should emboss the fork ends when closed to the locked position. Check that the word „close“ is visible and that the lever is pushed fully to the closed position. The CLIX quick release lever is securely closed when it leaves an imprint on the palm of your hand from moving the lever into the closed position. Make sure the lever is positioned adjacent to the fork leg so it will not catch on any passing objects. Fig. 28.a: Closed, Mid, Open positions & Fig. 28.b: Install the wheel on the fork. Fig 29.: The CLIX® Wheel Release System. Before riding, lift the front of the bicycle so that the front wheel is off the ground and give the top of the tire a few sharp downward strikes (Fig. 30). The wheel should not wobble or come off. Fig. 30: Strike the wheel in a downward motion. This does not guarantee that the CLIX quick release lever has been adequately tightened. If you are uncertain as to whether the CLIX quick release is tightened correctly, see the following information on Adjusting Your Front Wheel Quick Release, or bring your bike to your local bike shop. Fig 31.a: Angled dropout & Fig 31.b: Standard dropout. Open and close the quick release lever with your right hand while gradually tightening the adjusting nut with your left hand. Continue tightening the nut until you feel resistance on the lever at the mid point (Fig. 28.a) of its travel. If there is too much resistance, turn the adjusting nut counter-clockwise 1/4 turn and try to close again. The CLIX quick release lever is securely closed when it leaves an imprint on the palm of your hand from moving the lever into the closed position. Make sure that the word “close” is visible. Now that the correct tension has been set with the CLIX quick release lever in closed position, tighten the locking nut with 8mm socket wrench until it is next to, but not tight against, the adjusting nut (Fig. 29, page 29). Always inspect the brakes before riding to be sure they are functioning properly. If you are not comfortable with the assembly instructions, please see a bicycle dealer. Brakes that are not properly adjusted may result in loss of control and serious personal injury or death. NEVER ATTEMPT TO RIDE A BICYCLE WITHOUT PROPERLY FUNCTIONING BRAKES. Consult the following information to properly install your brakes. Disc brakes should come from the factory pre-adjusted to the correct braking specifications. To attach the front wheel on a disc brake equipped bike, align the wheel rotor with the slot in the disc brake caliper attached to the left hand fork stanchion. Once the rotor is aligned with the caliper slot, review Attaching the Front Wheel on page 28 in order to properly secure the front wheel quick release. If your front or rear disc brake needs to be adjusted or does not apply adequate stopping power to the wheel, it may need to be adjusted. Be sure to squeeze the brake levers to ensure that the brakes are secured in place and functioning properly before riding. For adjustment instruction, please see Brakes on pages 42-43. Note: When installing the front wheel on a disc brake equipped model, the disc brake rotor is lined up between the brake pads in the caliper slot. If the pads are knocked out of place, the rotor may not go into the caliper slot. Reset the pads before attempting to install the wheel. Fig. 33: Caliper brake release lever. Once the wheel is installed, caliper brakes are engaged by moving the brake release lever to the “close” position (see Fig. 33). To release a caliper brake, move the brake release lever into the “open” position. Be sure to squeeze the brake levers to ensure that the brakes are secured in place and functioning properly before riding. For caliper brake adjustment, see Brakes on pages 42-43. Before riding, always check to make sure the brake release lever is in the closed position. Fig 34: Assembly of V-Brake. Use one hand to pinch the brake arches together and level the cable hook unit. With the other hand, squeeze the end cap into the cable hook unit. Release the brake arches and the hook unit and end cap should lock into place. Squeeze the brake lever a few times to ensure the brakes are secured in place and working properly. Brakes and Gear System: The brakes and gear system are factory set. However, new brake and gear cables may stretch. Therefore, please check brakes and gear system each time before riding your bicycle. If a problem is identified, refer to the Brakes section of this manual (pages 42-43) or bring your bike to your local dealer. Do not ride the bike with non-functioning brakes. Your Montague bike is designed for quick folding and unfolding without the use of tools. The following steps should increase the rider’s safety and prevent damage or scratches when folding or unfolding the bicycle. Standing on the chain side of your bike, set the front brake to the open position. 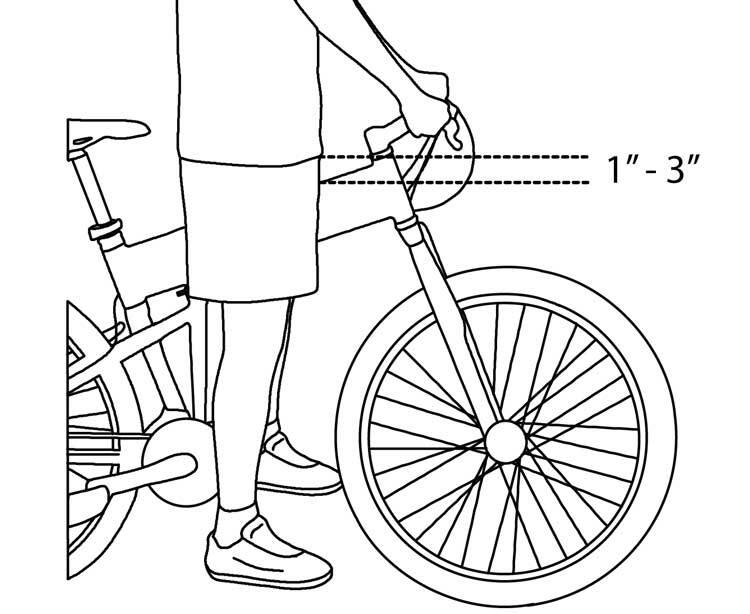 For caliper equipped bikes, see Fig. 33, page 31. For V-brake equipped bikes, see Fig. 34, page 31. For disc brake equipped bikes continue on to the next step. Open the CLIX front wheel quick release lever, then squeeze the cup and quick release lever together using the same motion used when operating a syringe (Fig. 28.b page 28) while removing the wheel (Fig. 35). Lower the seat. (Fig. 10 page 21). Open the frame quick release lever (Fig. 35). With your thumb, press and hold the knurled lever inward. This opens the quick release clamp. (Fig. 36). While holding the quick release open with one hand, grasp the handlebars with the other and turn them away from you (Fig. 37). 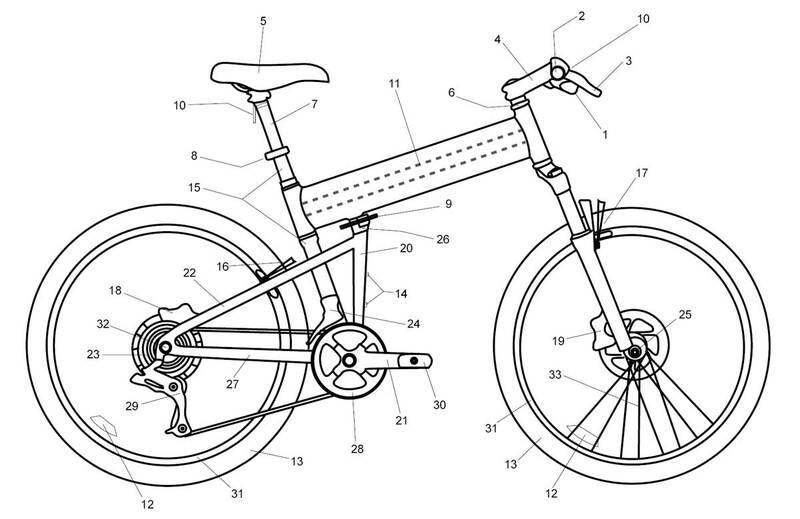 Pull the boom tube of the bike toward you and fold the bike in half (Fig. 37). If done correctly, the bike should resemble Fig. 38 with the handlebars secured between the rear wheel and the boom tube. Reattach the Velcro strap from the handlebars to the rear wheel. Fig. 35: Remove the front wheel & lower seat. Fig. 37: Fold the bike frame in half. If your Montague bike comes with a RackStand that is not installed, or you are replacing it, the following instructions can be used. Remove the original rear wheel quick release by unscrewing the end nut. Replace with the RackStand traditional quick release (Fig. 39) and tighten to proper tension (page 44). Place RackStand upside down (stand position) on the floor, with tail facing the front of the bike (Fig. 40). Position the rear of the bike so it is resting on the tabs of the new quick release as shown. (Fig. 40). Open the QR lever and lower bike into the RackStand slots (Fig. 41). Close quick release lever and rotate RackStand up to the riding (rack) position. Ensure it is locked into mating latch (Fig. 42). Fig. 39: Installing RackStand quick release. Fig. 40: Positioning Rackstand (wheel not shown for clarity). Fig. 41: Lowering bike into Rackstand dropouts. Fig. 42: Rotate RackStand and lock in place. DO NOT attempt to perform any adjustments while riding your bike. This chapter lists instructions for adjustment of the parts of a bicycle. After a repair, examine the bicycle as shown in the Before Each Ride Checklist on page 10. This manual is not intended to be a repair manual. If you are unsure about adjusting your bicycle or have any questions about adjusting your bicycle, transport it to your local dealer for adjustments and repairs. A bicycle that malfunctions could decrease your control and cause you to fall. Fully examine all of the bicycle before each ride. If there is a problem, do not ride the bicycle, but take it to your local bike dealer for inspection and repair. Torque is a measure of the tightness of a screw or bolt. Use a torque wrench to make sure you do not apply too much torque, which can cause damage to or break the part. However, a fastener that is too loose can also cause damage. After you use the torque wrench, examine the function of the part with the tests in this section. If a part does not have the correct function when it is tightened to the recommended torque, tranport your bicycle to your dealer for repair. Incorrect torque can cause damage or break a part. Use a torque wrench to correctly tighten a part, or transport the bicycle to your dealer for service. It is important to use only genuine replacement parts for several safety-critical components. The Montague frame quick release is one such component. The Octagon stem assembly is another such safety-critical component. Only replace the frame quick release and the Octagon stem with a genuine part sourced from Montague. Do not switch your fork as your CLIX quick release wheel is not compatible with some forks. If you replace the crank or tires with different models, you should use caution as there is a possible reduction of toe-clearance and the possibility of contact with the ground may be increased. Decrease the tightness of the handlebar clamp bolts on the stem (Fig. 45). Twist the handlebar by rotating it forward or backward. Make sure it remains in the center of the stem (Fig. 45). Tighten the handlebar clamp bolts on your type of stem: Welded stems: 100-120 lb•in (11.3-13.6 N•m). Forged Stems: 150-180 lb•in (17-20.3 N•m). Some stem models allow for height adjustment. Please read the following instructions to determine if your stem is height adjustable. Handlebar height on bicycles with direct connect stems cannot be adjusted as they are. Please refer to your local dealer for options regarding handlebar height adjustment. Bicycles with aluminum steerer tubes should have at least one 5mm spacer under the threadless stem (Fig. 45). Incorrect or missing spacers can cause damage to the steerer of the fork, possibly causing it to break. If the steerer breaks, you could fall. Decrease the tightness of the steerer-clamp bolts two to three turns (Fig. 45). Tighten the steerer-clamp bolts to 100-120 lb•in (11.3-13.6 N•m). A quill stem that is too high can cause damage to the bicycle, decrease your control, and cause you to fall. Make sure the minimum insertion mark is inserted in the frame (Fig 46). Decrease the tightness of the quill expander-bolt two to three turns (Fig. 46). The stem is held by the stem wedge. To decrease the tightness of the stem wedge, tap the top of the expander bolt with a mallet that has a wood or plastic face. Adjust the handlebar to the necessary height. Take note of the minimum insertion point as marked on the stem quill. Never raise the stem beyond the minimum insertion point (Fig. 46). A minimum of 70mm of the stem should always be in the frame. Tighten the expander bolt to 120 lb•in (13.6 N•m). The Octagon® height adjustable stem allows you to raise and lower your handlebars without the use of any tools. Fig. 48: Open quick release lever. Open the collar quick release lever (Fig. 48). Depress the adjustment button with one hand while grasping the stem with the other. While continuing to hold the adjustment button, raise the stem to the desired height (Fig. 49). Fig. 49: Push adjustment button and raise stem. Once the desired stem height is reached, release the adjustment button and try to move the stem higher or lower. This will lock the stem into position. Close the quick release lever. The tightness of the lever is adjusted by rotating the adjustment nut opposite the quick release lever. Turn the nut by hand to adjust the tension while holding the lever stable (Fig. 50). Fig. 50: Octagon® quick release adjustments. Once the lever is securely closed, you should not feel any looseness or movement in the handlebars or stem. If you can move the handlebars from side to side or feel any looseness with the quick release lever in the closed position, repeat the Octagon® quick release adjustment process from step 4. Repeat until the handlebars cannot be moved when the quick release lever is closed. If you have adjusted the nut too tightly and cannot push the lever to the “close” position, open the quick release lever again and turn the nut 1/4 turn counterclockwise. Continue with Step 4. Note: The collar clamp bolt and the stem clamp bolt should be tightened to 88 lb•in (10 N•m). If you complete these adjustments and the quick release is tight, yet the handlebars feel loose, do not ride your bike, but take it to your local dealer for inspection and adjustment. For more information about the Octagon® height adjustable stem, visit www.octagoncycles.com. If you ride a saddle that is not adjusted correctly or one that does not correctly support your pelvic area, it can cause injury to your nerves and blood vessels. If your saddle causes pain or numbness, adjust the saddle position or speak to your dealer about a saddle that is more comfortable. Decrease the tightness of the saddle-clamp bolt (Fig. 51) until the saddle can be moved. Put a straight edge, bubble level or ruler across the top of the saddle to better see the angle of the saddle. For saddle height adjustment and seatpost quick release usage, see page 21, Installing the Seatpost. A seatpost that is too high can cause damage to the bicycle, decrease your control, and cause you to fall. Make sure the minimum-insertion mark (Fig. 10 page 21) is in the frame. The right pedal (chainside) is threaded in the standard clockwise to tighten direction. The left pedal is threaded in the opposite direction (Fig. 11, page 22). Tighten pedals into the crankarms to 350-380 lb•in (40.2-42.9 N•m). The adjustment of pedal bearings requires special tools and training. Only a bicycle dealer should attempt these adjustments. Slightly decrease the tightness of the rear wheel axle nut on one side of the wheel, then on the other side of the wheel. Slide the wheel rearwards to tighten the chain. Keep wheel centered between seatstays. Tighten the rear wheel axle nuts 260-390 lb•in (30-45 N•m). Make sure you have correctly attached the wheel by lifting the bicycle, and hitting the top of the tire with a solid blow. The wheel should not be loose or move from side to side (Fig. 30 page 29). If the wheel connection fails the test, do the procedures in steps 1-4 again. If you can not correctly attach the wheel, transport your bicycle to your dealer for repair. Examine all cables for kinks, rust, broken strands, or frayed ends. Also examine the cable housing for loose wire strands, bent ends, cuts, and worn areas. If you think there is a problem with a cable or housing, replace the cable before riding. Fig. 52: Rear derailleur parts. View from the rear. On models with a front derailleur, shift so that the chain is on the middle chainring, by turning the crank forward and shifting the left twist shifter/shift lever. Shift the chain to the outermost/smallest rear sprocket by turning the right twist shifter all the way away from you, or moving the right shift lever all the way towards you. While turning the crank forward, rotate the right twist shifter or push the right shift lever to the next position. The chain should move to the second sprocket quickly and easily. If it stays on the first sprocket, the tension of the shifting cable must be increased (proceed to Step 6). If the chain jumps across the second sprocket or if it scratches the third sprocket, the tension of the shifting cable must be decreased. Cable tension is adjusted by turning the Cable Adjusting Barrel, which is located at the junction of the cable and the shifter or rear derailleur (Fig. 52). To increase tension, turn the knurled knob counterclockwise, to decrease tension, turn the knob clockwise. Turn until the problem is corrected. If the tension is adjusted according to the above steps, the chain should follow all shifting commands on the shifters. If the gear system still does not function properly, please contact a bicycle dealer for assistance. Fig. 53: Front Derailleur Adjustments. With bicycles that have more than one chainring, the front derailleur makes gear changes. Move the chain to the smallest front chainring and the largest rear gear. Decrease the tightness of the cable clamp bolt (Fig. 53) until the cable is free. Turn the low-gear adjustment screw (identified with an “L”) until the inner chain-guide of the derailleur is approximately 0.5 mm from the chain. Pull on the cable end, and move the left shift lever to the small chainring position. On the shift lever, fully turn clockwise the derailleur cable barrel-adjuster. Put the cable in the groove found near the derailleur-cable-clamp bolt, pull the cable tight, and tighten the clamp bolt to 44-60 lb•in (5.0-6.8 N•m). Move the rear derailleur to the smallest rear cog. Turn the high-gear adjustment screw (identified with an “H”) counterclockwise until it cannot stop the movement of the derailleur. Turn the crankarms with your hand. Use the shifter to carefully move the chain to the outside chainring. Move the outer chain-guide approximately 0.5mm from the chain. Tighten the high-gear adjustment screw until it resists. If you have turned the screw too far, the front derailleur will move to the small chainring. Change gears to all the gear combinations. Make sure the chain does not come off when you move the shift lever. Make sure the derailleur cage does not rub on part of the crankarms. Move the chain to the largest front chainring and the smallest rear cog. Turn the cable barrel-adjuster (on the shifter) to change the cable tension and align the inner cage of the derailleur until it touches the chain. Change to all gear combinations to make sure the chain smoothly lines up with all the chainrings. These systems change gears with a mechanism that is inside the rear hub. To adjust a Shimano Alfine internal gear hub, please refer to the separate manufacturer’s manual provided. Fig. 54: Alfine rear internal gear hub. Some bike models come equipped with a carbon belt drive in place of a traditional chain. For more information on adjusting a belt drive, please refer to the separate manufacturer’s manual. Fig. 55: Gates carbon belt drive. The brake system on your bike lets you slow and stop. The function of this system is crucial to your safety. The brake system is not easy to adjust without proper training. It is strongly recommended that only your dealer adjust your brakes. Each month, examine the brake pads for wear. Replace pads if grooves in the pad surface are less than 1mm deep. 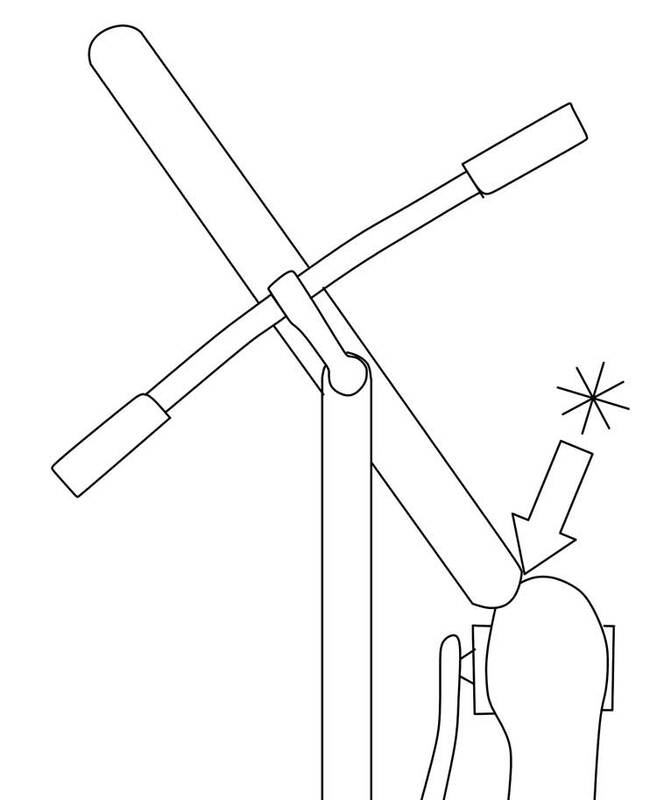 Locate the barrel adjuster along the brake cable, either by the brake itself or the brake lever (Fig. 33 page 31). Turn the barrel adjuster clockwise to increase brake pad clearance. Turn the barrel adjuster counterclockwise to decrease brake pad clearance. If the brake pads cannot be adjusted correctly (Fig. 6, page 13), decrease the tightness of the cable-clamp bolt and reattach the cable. Decrease the tightness of the pad adjustment bolt or pad positioning bolt (Fig. 33 & 34 page 31). Align the brake pads (Fig. 6, page 13). Tighten the brake pad clamp bolts. Caliper: 40-60 lb•in (4.5-6.8 N•m) Direct-pull 70-80 lb•in (7.9-9 N•m). Examine your brakes after adjusting them. Pull the levers and make sure the brake pads engage the rim strongly at the proper angle, and the brake pads do not come into contact with the tire (Fig. 6 page 13). First adjust the clearance between the right (inside) brake pad and the disc. Use a 5mm allen wrench to move the inside pad inward toward the disc rotor till it touches the rotor. Back off slightly until the pad does not touch the rotor surface. Next adjust the clearance between the left (outside) brake pad and the disc. Turn the barrel adjuster located on the front brake lever clockwise to move the outside brake pad inward until it touches the rotor. Back off slightly (1/4 turn) until the pad does not touch the rotor surface and the wheel spins freely. If there is contact between the brake pads and rotor after performing the above steps bring your bike to your local dealer for adjustment. When you apply the brake, the brake pads remove material from the rims. If the brakes remove too much material, the rim can become weak and sudden failure can ensue. Examine the rims regularly and replace them when they are worn. Examine tires for worn areas, bulges, and damage. Make sure rims are clean. Riding with an improperly adjusted wheel quick release can allow the wheel to wobble or disengage from the bicycle, causing damage to the bicycle, and serious injury or death to the rider. Make sure tires are inflated to proper specifications as listed on the sidewall of the tire. If the wear-indicators on the brake surface show the rim is worn, replace the rim. Make sure there are no loose or damaged spokes. If loose or damaged spokes are found, do not ride the bicycle, take it to your local bike dealer for repair. DO NOT change or swap wheels between different bicycles. Your wheels may not engage the other bicycle’s fork correctly causing an accident. As mentioned in the assembly section, Montague bicycles use three different types of wheel attachment devices. Carefully read the instructions for the devices on your bicycle. Fig. 56: Traditional quick release; diagram of parts. Fig 57: Positions of a quick release. Move the quick release lever to the OPEN position (Fig. 57) and set the wheel so it fully engages the frame dropouts. With the lever in the MID position (Fig. 57), tighten the adjusting nut (Fig. 56) until it is slightly tight. Move the quick release into the closed position (Fig. 57) with the palm of your hand. A properly closed quick release lever should leave a mark on the palm of your hand from closing. If you can lock the lever with little or no resistance, the clamp-force is not sufficient. Go back to step 2 and tighten the adjustment nut 1/4 turn and return to step 3. Examine for correct quick release adjustment. With the quick release closed, lift the bicycle and hit the top of the tire with a solid blow (Fig. 30 page 29). The wheel should not come off, be loose, or move from side to side. Open the quick release lever (Fig. 57). Decrease the tightness of the adjustment nut; turn it approximately three full turns. Move wheel out of the fork or frame. Some rear wheels are attached with nuts threaded on the axle. A toothed washer could be necessary between the nut and bicycle frame. Tighten the rear wheel axle nuts: 240-300 lb•in (27.1-33.9 N•m). Make sure you have correctly attached the wheel. Lift the bicycle, and hit the top of the tire with a solid blow (Fig. 30, page 29). The wheel should not come off, be loose, or move from side to side. If the wheel connection fails the test, do these procedures again. If you can not correctly attach the wheel, transport your bicycle to your dealer for repair. Cassette and freehub adjustments require special tools and training and should only be performed by your local bicycle dealer. Some Montague bicycles come with accessories fitted as standard equipment. Fenders or mudguards are such accessories. These require no maintenance other than cleaning, and may be left in place during rides, and may be removed during the folding process by simple operation of a lever next to the fender mount. Racks are another such accessory. Racks bolt to the seat post as shown in separate instructions and require no maintenance other than cleaning, and may be left in place during rides, and may be removed during the folding process by removal of the seat and seat post. A rack should never be used as a seat for a person. Not all accessories are compatible or safe, so only add accessories that have the approval of the manufacturer. As an example, a child carrier puts weight high on the bicycle. This can make your bicycle less stable. Although some child carriers are compatible with some of our bicycles, always check with your dealer before making any change to your bicycle. As another example, clamping anything on a carbon part can weaken or damage the part. Any modification can make your frame, fork, or part unsafe. Do not sand, drill, file, remove redundant retention devices, install incompatible forks, or make other modifications. A component that is not approved or assembly that is not correct can put high stress on your bicyce or components. A frame, fork, or component with modifications could decrease your control and cause you to fall. Before you add an accessory to your bicycle or change a part of your bicycle, speak to your dealer. Adjustments to bearing systems found on your bicycle require special training. If your bike requires adjustment to the bearings, take it to your local bicycle dealer. Bicycle lubrication requires special training. Take your bicycle to your local dealer for lubrication services. Many of the items scheduled on the maintenance list are described within this manual. Several items on this maintenance list require special tools and training to complete. We recommend that you bring your bicycle to your local bike dealer to ensure these items are completed correctly. Clean your bicycle with a damp cloth. Examine wheels for loose spokes. Apply lubricant to suspension forks. Examine the attachment of the handlebar and stem. Examine the attachment of the saddle and seatpost. Examine the cables for wear. Examine crankset and bottom bracket. Examine the attachment of accessories. Replace grease in the pedal threads and bearings. Replace grease and oil in suspension forks. Down the current Owner’s manual as a PDF. Download Owner’s Manual for bikes prior to 2009.